The Federal Government has inaugurated group of National Advocates for Health, to promote systems approach to healthcare delivery in Nigeria. 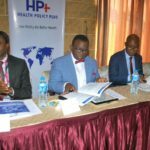 Inaugurating the group in Abuja, Minister of Health, Professor Isaac Adewole, called on the advocates to help change the narrative on health at different levels within the country. The Minister emphasized the need for the advocates to use their influence and networks to advocate for improved health service delivery in Nigeria most importantly at the grassroots. 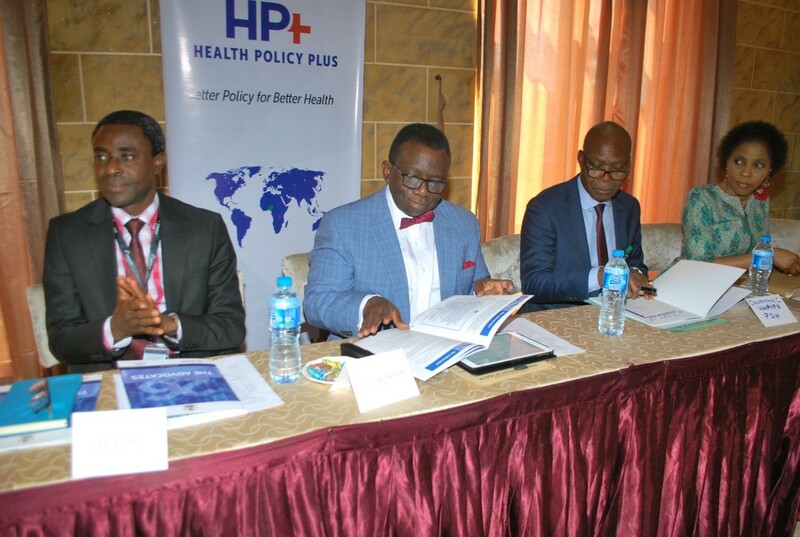 Prof. Adewole also called for the promotion of a systems approach to healthcare delivery in Nigeria. He emphasized the need for the advocates not just to focus on advocacy for an area of healthcare delivery but for all areas. He promised federal government’s commitment towards improved, refurbished and repositioned healthcare system that will accommodate issues of family planning. Adewole decried the looming population as a disaster in waiting and therefore called for collective advocacy towards population control. “We cannot allow our population to double in 2020 as I fear its explosion which will lead to more problems. Demographic dividends should be the expectation instead of demographic disasters,” he said. The advocates inaugurated includes; Prof. O.A Ladipo, Ambassador Sunday Dogonyaro, Chief Mrs. Folashade Tinubu-Ojo, Amina Bosede Omoti, Dr Aminu Magashi Garba, Anthonia Ifeyinwa Omowole, Senator Ayo Adeseun, Dr Ekpedeme Udom, Dr Gloria Laraba Shoda and Mrs. Omobolade Abumere. Others are Dr Halima Yalwa Adamu, Ibrahim Tafawa Balewa, Dr Ibrahim Wada, Mr Iliya Kure, Prof. Joy Ezilo, Dr. Laz Ude Eze, Mrs. Margaret Bolaji, Mrs. Moji Makanjuola, Muhammad Nurudeen Lemu, Alhaji Usman Muhammad, Olusegun Adeniyi, Alhaji Sani Umar Jabbi, Hajiya Saudatu Sani, Bishop Sunday Onuoha, and Dr Uwemedimo Uko Esiet. 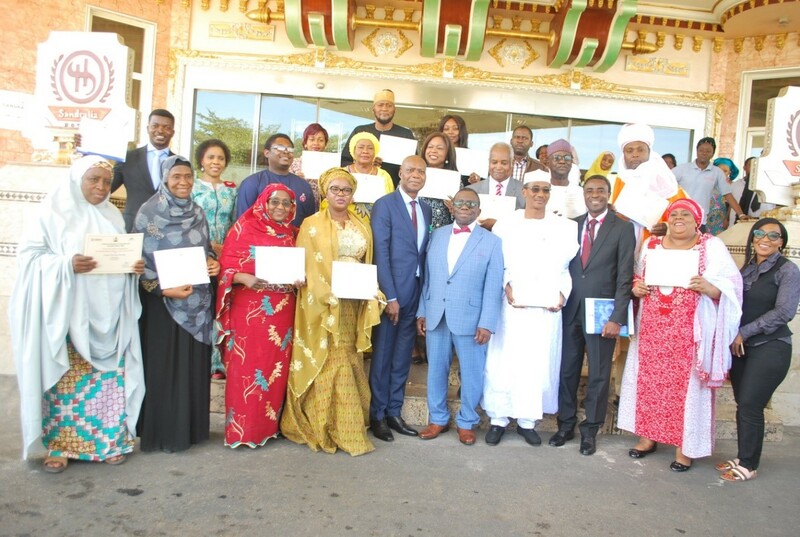 The group of advocates were selected and trained in April 2017 by Health Policy Project of the Palladium, funded by USAID in partnership with the Federal Ministry of Health. The members of the group have been engaging with stakeholders across the country on key issues affecting the health sector which include improved budgetary allocation for health, release of the 1% Basic Healthcare Provision Fund, allocation of 15 per cent national budget to health and lots more.